Why do U.S. consumers shop at Amazon in numbers that are orders of magnitude greater than any other online retailer? 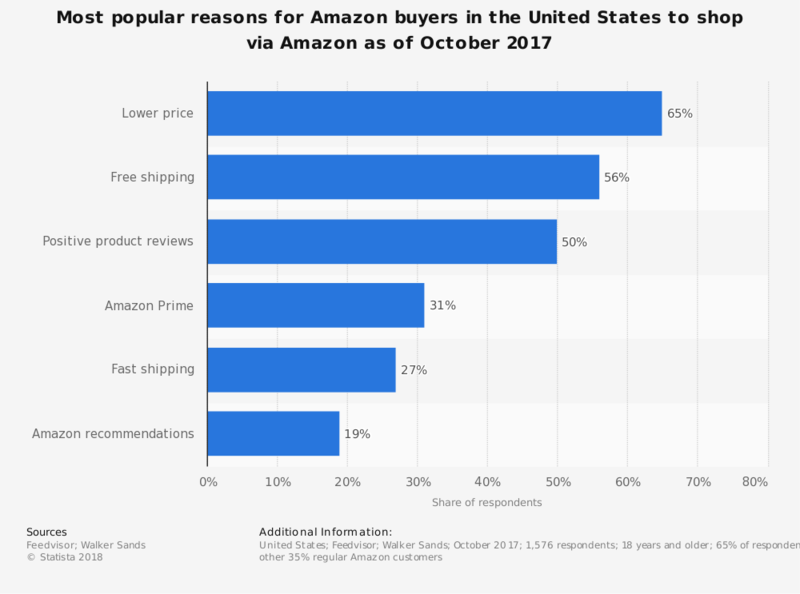 There are many plausible reasons consumers might prefer Amazon over competing stores: its vast array of products, free shipping policy, fast shipping practice, Amazon Prime benefits, and useful product reviews, for instance. But the primary reason U.S. shoppers report being drawn to Amazon, according to Statista, is more pragmatic: lower prices. To be precise, though, consumers are not drawn to Amazon because of actual lower prices, but rather because of Amazon’s reputation for having lower prices. Consumer perception regarding Amazon’s price appears to be more important to its success than the actual prices it sets. 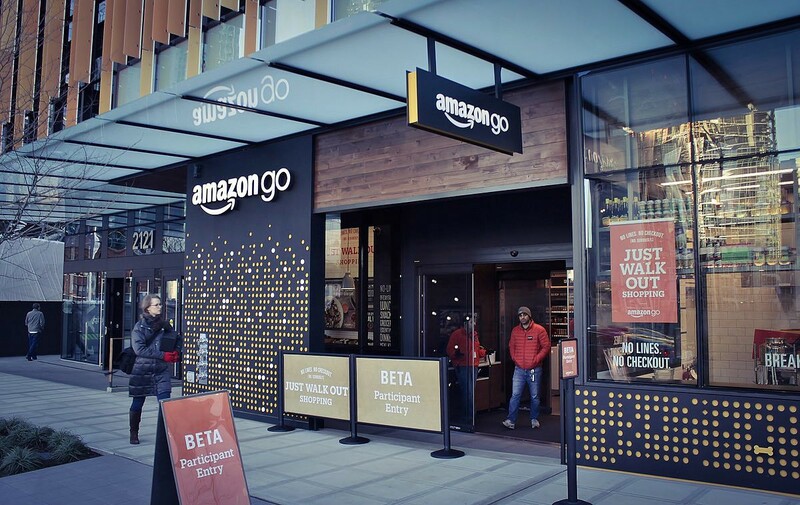 Because of this, consumer sentiment remains extremely favorable for Amazon, despite the price and fee increases the company has instituted lately, which, given Amazon’s record profits of the most recent quarter, smack of greed and nothing more. Despite what most consumers believe to be true, many products Amazon sells are much cheaper elsewhere. If you don’t believe the above statement is true, read my accompanying story on the brick-and-mortar hardware store with lower prices than Amazon. It’s a story from my personal experience, and contains a price comparison that, while admittedly not scientifically rigorous, is pretty darn persuasive anecdotal evidence. And if you still don’t believe, read Forbes’ story on studies showing Amazon’s prices roughly double those found on Target.com for grocery items. Regarding its pricing strategy, Amazon isn’t putting much effort into lowering prices. On the contrary, its focus is on lowering and raising prices in a very strategic way, such that customers are manipulated into believing Amazon’s prices are lower than they appear to be. This strategy was discovered by startup Boomerang Commerce, which argues Amazon’s pricing strategy is built upon a marketing and psychology concept called price perception. Most consumers remain convinced, however, that Amazon’s prices are always (or almost always) lowest. So how do we explain the discrepancy between consumers’ subjective beliefs and the objective reality of Amazon’s prices? The answer lies in price perception, according to Boomerang Commerce. Price perception is the understanding that how customers perceive price is as important as the actual price itself. Consumers form opinions about a store’s prices, and its comparative value vis-à-vis other retailers, very quickly. That label tends to stay rather stubbornly fixed, and evidence to the contrary overlooked or discounted. Take the case of the Whole Foods supermarket chain, which Amazon bought last year for $13 billion. Whole Foods has been jokingly called “Whole Paycheck” for many years. This nickname, if you can’t guess, stems from prices so high — especially compared to Safeway and Giant — the store will eat up your entire paycheck, as the saying goes. Initially, this “premium” reputation worked to Whole Foods’ advantage, delineating the chain of stores as luxury goods purveyors, selling unique products rather than grocery store commodities. However, since natural and organic stores are now more trendy and commonplace, Whole Foods’ niche has become commoditized. In such a landscape, perceived value becomes more important, which means low prices are also more important. While Amazon has taken steps to reduce prices at Whole Foods, customers have been slow to acknowledge these new prices and adapt. Price perception is the reason Whole Foods’ reputation as a high-priced grocer will be difficult to counteract, and will probably follow it around for some time. Price perception is also the understanding that when consumers form opinions about price, they weigh some products greater than others, making their analysis skewed and inaccurate. A smart retailer can take advantage of this human flaw in their analyses, which Amazon does brilliantly. Price perception allows Amazon to do the seemingly impossible: raise prices without customers realizing it. Amazon uses price perception as follows: it sets prices of the most popular 40% of its product catalog competitively, at or below the price of other retailers. (These most-popular products are largely electronics and books, by the way.) “Popularity” is defined as products not only bought more than other items, but searched more often, and price compared more often. When someone searches for a product on Amazon, it will likely be for one of these popular products. The remaining 60% of merchandise Amazon sells—less popular products and add-on items, personal care products, grocery items, among others—are priced at a premium. These are items customers don’t often think to compare from store to store, maybe because they’re priced low already, or assumed to be commodities (and therefore priced equivalently). Whatever the reason, Amazon’s price increases go unnoticed by consumers, and this works to Amazon’s benefit. The intention of Amazon is apparently that the higher prices of the “bottom 60” offset the lower prices of the “top 40,” thereby negating any savings to consumers and increasing profits for Amazon. And Amazon’s customers never even realize it’s happening. As Boomerang Commerce explains it, Amazon’s “consistently low prices on the highest and best-selling items drive a perception among consumers that Amazon has the best prices overall — even better than Walmart.” It reinforces the perception of Amazon as a good value even when a majority of its prices don’t support that concept. When a customer buys a cheap DVD player from Amazon, then adds in an expensive HDMI cable and remote batteries, he considers it to be further evidence that Amazon’s prices are lowest. Amazon’s harnessing of price perception is not dissimilar to the misdirection a magician might engage in: a sleight-of-hand that would ordinarily leave the audience delighted, but in this case that “audience”—Amazon’s customers—aren’t willing participants and aren’t in on the joke. The only ones delighted by the ruse are Amazon investors, who presumably love the idea of customers willingly paying more for items than they should, or would if they knew it was happening. Blissfully ignorant, Amazon customers continue to award accolades upon the retailer: “favorite” and “most admired” retailer, for instance. Would they still, if they realized how sneakily Amazon was manipulating them? Would they even be shopping there at all, if they understood the reality of Amazon’s prices? The question consumers answered at the top of this article implies they would not. And, Amazon customers, now you have no excuse. Because now you know.